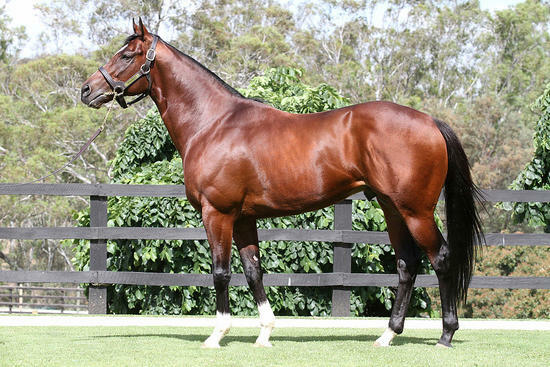 TORONADO (IRE) (Bay 2010-Stud GB 2015, Aust. 2015). 6 wins-3 at 2-to 1m, Royal Ascot Queen Anne S., Gr.1, Goodwood Sussex S., Gr.1. Out of a half-sister to SW Casamento. Sire of 41 rnrs, 17 wnrs, inc. SP Watan, Baylagan, El Ingrato and of Droit de Parole, Mon Ouragan, Topical, Yolo Again, Eesha's Smile, Almufti, Festina Plente, Illusions, Korcho, Name the Wind, Praxidice, Revelstoke, Tularka, Windy Guest and of the placegetters Come Back, etc. His oldest Aust.-bred progeny are 2YOs. STORM KITE, by Honours List. 4 wins at 1250m, 1300m, A$176,600, AJC Heckenberg H., STC Canterbury Park Event Centre H.-twice, 2d AJC Tattersalls Club H., ATC Steggles H., Staks Goudkamp H., Clubsnsw H., AJC $100,000 Quaddie Jackpot H., $100,000 Big 6 Jackpot H., STC Australian Home, Leisure & Lifestyle Show H., 3d STC Blackwoods for Tork H., Freeway Hotel Texas Poker H. Half-sister to PROPHET'S KISS. This is her second foal. Her first foal is unraced. Storm Kite. 4 wins. See above. Timeless Dane - Nittan's Treasure (Mac.). 9 wins-3 at 2-from 1300m to 1600m, A$90,650, M$1,979,725 in Aust. and Macau, MVRC MV Calendar Now Available 2YO H., MRC 2005 AAMI Blue Diamond Entries 2YO H.
Galileo (Luskin Star). 7 wins to 1500m, A$197,775, AJC Jim Sweeney H., STC Truscott's Toyota Welter H., Stampede H., Taylor Square H., Carlton H., 2d AJC Razor Sharp H., L, June S., L, At Sea H., Gallipoli H., E Deas Thompson Welter H., Rydges Bankstown Flying Welter H., STC Five Dock H., Canterbury H., 3d NSW Tatt's RC Carrington S., L, STC Inghams Enterprises Welter H.
La Belle Chataigne (Catbird). 3 wins at 1600m, 1800m, A$151,160, AJC Bondi H., STC Cool Ridge H., 2d STC Parramatta Cup, L, AJC Royalrandwick.com H., STC BMW Efficient Dynamics H., Steel-Line Garage Doors H., 3d AJC Vale Ray Bourke H., NSW Tatt's RC Royalrandwick.com H. Producer. A Bit of Magic (Snippets). 9 wins at 1000m, 1100m, A$175,916, AJC Edward Eyre H., STC Monterey H., Native Dancer Series H., Magic Flute H., 2d AJC Johnson & Johnson Medical H., Festival of Sydney H., STC Huamight H., Hayman Series H., Arncliffe H., Freshest Group Series H., 3d STC Satellite S., L, AJC Edward Eyre H., Pagewood H., Peter Walwyn H., STC Hurstville H.
JUGGLING TIME (Jugah). 15 wins to 1400m, A$369,730, AJC Hall Mark S., L, Clarence River JC Ramornie H., L, AJC Quay West Suites H., Kogarah RSL Club H., Rydges Hotel H., Matador Bull Bars Welter H., STC Masterton Homes Flying Welter H., BTC Qld Group H., 2d AJC June S., L, STC PJ Gallagher's Irish Pub H., Johnson & Johnson Medical H., Widden Belong to Me H., Bookmakers H., 3d Gosford RC Pacesetter S., L, City Tatt's RC Silks Club Flying Welter H., 4th NSW Tatt's RC Tramway H., Gr.3.